JuanTeixeiraBeer: Would the Padres have to surrender the no. 6 pick in June’s draft if they were to sign Keuchel? Do you prefer Stroman trade? Lilith: Do high school draftees have a better chance of going to the HOF because they’re able to enter the league at a younger age? Jay Jaffe: I haven’t specifically studied the issue directly, but based upon what we know, arriving in the majors by age 21 really does boost a player’s odds of future enshrinement. Granted, much of that owes to the performances of players from the days before MLB had a draft. It’s a good thought for a research topic. Marc: For the projection systems that FanGraphs runs, do you guys incorporate batted ball data, or do your systems only incorporate more publicly available stats such as z-swing%? Cito’s Mustache: Can you explain to someone who wasn’t alive in 1974 what in sweet heck the MVP voters saw in Steve Garvey? Nothing statistically about that season set him apart from his peers all that much. Slurve: At what point does the Mariners start become “Believable” (Possibly Sustainable)? Jay Jaffe: For the 2012 Baseball Prospectus book Extra Innings, Derek Carty found that at the 16-game mark, a team’s current record reaches a correlation of 0.5 with their final record, which is to say that their year-to-date performance became more predictive than simply assuming they’ll finish at .500 (as the largest possible sample of teams inevitably does). Now, that number may have shifted a bit in the past seven seasons, but it’s a decent rule of thumb. That said, for me it really isn’t until about the 1/4 mark (40 games) when I start thinking about whether a team is for real, positively or negatively. Colonel: Hey JJ…. Been watching Tim Beckham and yippee his bat seems to have improved, but his D is meh (5 errors). Curious with mega-advanced stats if GM’s will take dWar seriously enough to roll out a Mark Belanger type rather than the Aledmys Diaz, Jordy Mercer types…..
Jay Jaffe: As I wrote for the shortstops edition of our Positional Power Rankings, offense from shortstops has hit an all-time high, and I think that’s in part because more teams understand the scale of the tradeoffs, that while a Belanger with elite defensive numbers but a wretched bat may still be worth playing, an Adeiny Hechavarria might not. The fact that there are fewer balls in play than ever — requiring a bit less skill from all infielders — due to the rising strikeout and home run rates furthers this trend, as does the increased use of advanced positioning data to help cover for the limits of range. Rich: We’re two weeks into the season… the NL East has a three-way tie with the Nationals one game behind. Small sample size, but are things playing out the way you expected? Has anything surprised you about the four teams yet? Jay Jaffe: I am surprised that Mike Rizzo hasn’t taken daily full-age ads out in the Washington Post pleading with Nationals ownership to sign Craig Kimbrel, damn the cost. The teams are closely bunched together on both sides, with good offense but only the Braves preventing fewer than 5 runs per game. The lousiness of the other three teams in that area, particularly the Mets given their rotation, is the big surprise. Donjuan: What did you order for lunch? Jay Jaffe: Poke bowl with tuna, salmon and yellowtail plus a whole lot of other goodies. Pricey but healthy. Jay Jaffe: Not specifically — though I’ve read several Pynchon books (and bailed on Gravity’s Rainbow in the 150-200 page range). I was a biology major who fulfilled pre-med requirements in college (Brown University) and so have four semesters of chemistry under my belt (getting an A in second-semester organic chemistry, including a class-high 98 on one test, is my academic high point). Plenty of talk of entropy in all of that, a concept I took into my examinations of end-of-season chaos (Team Entropy) and one that’s oh-so-applicable to life as a first-time parent. mmddyyyy: Have you ever had to use an emergency exit? Jay Jaffe: In the NYC subway system, when I’m pushing a stroller I go through the service/emergency doors all the time, though since the alarms have virtually all been disabled, that probably doesn’t count. Derek: How concerned should the Red Sox be? Everything with them just seems… out of sorts. Jay Jaffe: The Cardinals missed the playoffs that year. So did last year’s Rays, an otherwise good team that started 3-9. Jay Jaffe: As to the specifics, presumably the Red Sox bats will come around but I’m very concerned about the rotation (Sale included, after his latest performance and comments — where before it sounded as though it was just Something We’re Working On). Price and Eovaldi, in particular, shouldered some big workloads last October, and I have to wonder if there’s a hangover of sorts. mmddyyyy: Are your work nightmares about baseball? Jay Jaffe: I didn’t see either play last night. I know he’s got a shoulder problem, and while I’m always hesitant to put myself in the head of a player, I do wonder if that issue is causing him to overcompensate in other areas (hence overrunning the ball the other night), or distracting him more than he’s letting on. Ray Liotta as Shoeless Joe: In Trevor Rosenthal’s last two batters faced, he has recorded outs. What kind of odds do you have on Chris Davis getting two hits in two consecutive at-bats this season? Jay Jaffe: if he’s in the lineup enough it will surely happen at some point. without doing any kind of math I’d say there’s a 75% it happens so long as he’s playing regularly. IF he’s benched or reduced to pinch-hitting that number falls dramatically. Derek: What part of baseball most deserves to be flung into that black hole 55 million light years away? Intentionally throwing 95+ mph projectiles at other humans? Built-in wage suppression? Something else? Jay Jaffe: Those are two good candidates. I’d also include crusty old announcers who are fixated on What’s Wrong With Today’s Players/Game. Jason Heyward : Is my current hot streak just a fluke, or do the statistics prove that I’m worth what I’m making in Chicago? Jay Jaffe: My dude, 10 games doesn’t *prove* anything for anybody, but your current numbers — in particular the batted ball stats that show you’re elevating with more consistency — offers some hope that you won’t be a black hole at the plate. Aaron: I was wondering why there is no UZR for 2019 so far? Jay Jaffe: It’s coming tomorrow, but come on, if you’re taking 10-15 games of defensive data seriously, I’m going to take out a restraining order on your use of the site. Brian: Am I crazy or are all of the bullpens in the NL (outside of SF and SD) absolutely atrocious? I am a Mets fan and outside of the 2 shutouts vs Washington (Opening day and NYM home opener) each game has featured both bullpens give up a ton of runs. Kevin Kouzmanoff: Was Chris Archer really the third best player in the short and long run in the Chris Archer trade? That has to be one of the worst trades I’ve ever seen if so. Jay Jaffe: It’s a dark thought but it does seem very possible that the Pirates are never going to get anything close to the version of Archer that the Rays had. Even if what Glasnow and Meadows are doing right now is unsustainable, it would appear that they’ve turned corners and are here for good. Jason N: How long does it take to see if an offseason working on defense actually translated into better defense for a player? I’m specifically wondering if Francisco Mejia can stick at catcher or if that’s just the team over-hyping him because he put in a lot of work. Jay Jaffe: By itself, one season of defensive data might not be enough for a true reading, but most people don’t have the luxury of waiting that long. I would avoid forming too strong of an opinion without at least half a season of data unless it’s at an extreme. Gaslamp Gary: Manny Machado just looks so good in Padres threads. The clubhouse is happy and gelling. And he has a higher wRC+ than Kris Bryant, Justin Turner, Matt Carpenter and Nolan Arenado. That is all. Jay Jaffe: I’m glad he seems happy but nobody can win a 10-year contract in two weeks. Krusty Krab: With the drastic change in reliever usage in the last year with more committees, playing of matchups and inning shifting bullpen firemen, do arbitration compensation calculations get adjusted accordingly? now that being the team’s closer is not always the job of the team’s best reliever. Ben: It seems increasingly apparent that the biggest labor issues in baseball affect people who are not currently members of the union — minor leaguers, foreign players, guys yet to be called up who will be on rookie deals or arbitration-eligible in coming years. How does the union ensure it’s properly taking the interests of these non-members into account in future labor negotiations? And doesn’t this structurally favor the owners, who have a clearer sense of their own interests in these issues? Jay Jaffe: That’s the $5 billion question (~50% of $10 billion worth of annual revenue), isn’t it? It’s been very hard to get the union to focus on processes that by definition could lead to its members losing their jobs to “outsiders” (who themselves become union members, of course), and it will probably continue to be that way. brad nj: but don’t guys who reach MLB by 21 usually do so because they are superstars who race through the minors quickly…. so I think the reason they get to MLB fast is due to talent, not just age…. so that would be hard to separate…. Jay Jaffe: It’s talent AND age. In the draft era, it starts with “Is this 17/18-year-old player good enough to be drafted high enough out of high school that he can be compelled to begin his professional career immediately?” Obviously, if you’re a Harper/Trout, the answer is yes, and then you still have to click well enough in the minors to get to the majors as a teen. Doctor Parrot: Reason for yesterdays article? You actually buying some Mariners stock? 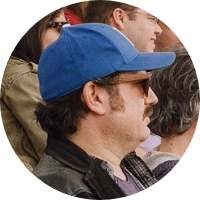 Jay Jaffe: When you’re writing every day (as I am) and thus always on the prowl for topics, it’s the extremes that tend to capture attention. The Dodgers and Mariners’ respective hot starts, one expected and the other not, make for a good contrast. I don’t necessarily think the Mariners will contend, but the history of teams that start 11-2 is enough for me to believe that I had been too dismissive of that particular team. As a Mariners fan, any playoff run becomes believable only after the first pitch is thrown in the playoffs and the Mariners are a part of that game. Jay Jaffe: When you own the longest current drought in north american professional team sports, that’s understandable, but I still think you’ve got a ways to go before the streak registers in the minds of fans whose teams have gone without a title for longer than yours has been in existence (such as the Indians, who last won in 1948). CubFan: What happens to Bour when Ohtani comes back? Jay Jaffe: if he’s hitting .154 like he is now, not good things. He has one minor league option remaining, but a DFA seems possible. Hello: Thoughts about the Mets using Todd Frazier as their backup SS? Jay Jaffe: It sounds like it’s basically for emergency situations, but I can’t help but think of the old Earl Weaver maxim that the place for your backup shortstop is Rochester (or wherever your Triple-A team is located). You’re better off keeping a guy who can fake it on the roster for the short term, and summoning the aforementioned Mr. Hechavarría from Syracuse if the injury bug bites for longer than a few days. Krusty Krab: Will ever see a player/manager again in our lifetime ? Jay Jaffe: I’m skeptical. The job has changed so much in the 30 years since the last one (Pete Rose) and by definition it turns a peer into management, which can cause friction. Donjuan: Better MLB player name: Richard Lovelady, Randy Johnson or Randy Bush? Eric: Jacob DeGrom is __% likely to retire as a HoF-worthy player. Jay Jaffe: I’d say maybe 25%. Going by bWAR and JAWS, he’s got one season of 9+ WAR but only one more season above 5.0. To get to a 7-year peak of 40.0 — a bit better than Sabathia but not as good as Kershaw/Verlander/Scherzer/Greinke — means coming up with at least five 5.0-WAR seasons and even that won’t be enough to move the needle unless a few of those are MUCH better. Slurve: At what point do the Orioles jettison Chris Davis? Jay Jaffe: I’d bet that if this persists for another few weeks and they can’t find a plausible reason to at least DL him and send him on a rehab assignment, things will come to a head. Jay Jaffe: I just read that he has a younger brother, which should keep FanGraphs busy for awhile. We hoped you liked reading Jay Jaffe FanGraphs Chat – 4/11/19 by Jay Jaffe! Take heart, billsaints. Astudillo still has never whiffed in 92 PAs vs. RHP.